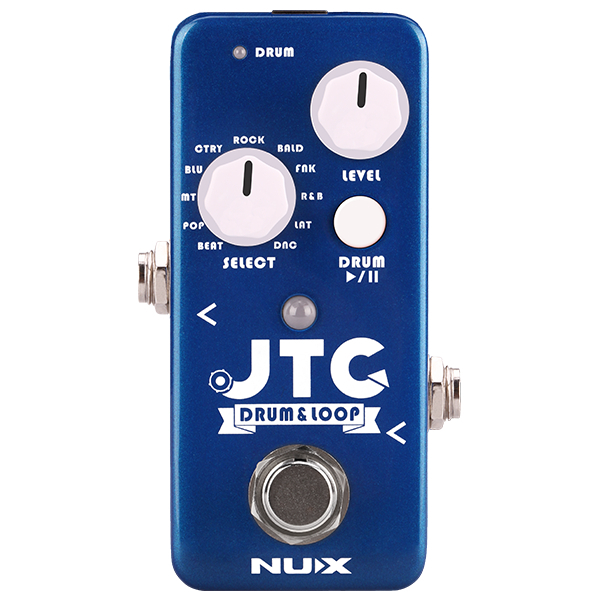 Nux Mini Core JTC Drum And Loop Pedal., Newark Musical Merchandise Co.
Jam Track Creator Drum&Loop is the Smallest 24bit loop pedal with auto detection drum machine. 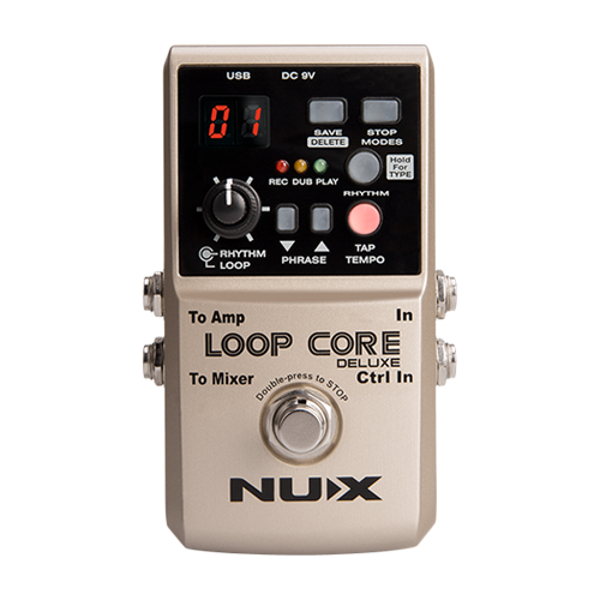 After we released the Nux Mini Core pedals and hit the market, we were asked to "please add a loop pedal into this line". So . . . ask and ye shall receive! With the NUX JTC Drum & Loop Mini, you can choose from 11 built-in drum rhythms, and record up to 6 minutes in 24-bit high-resolution audio quality. - PRESS ONCE: Record/Play/Overdub Loop. - (While playing loop) PRESS & HOLD: Undo/Redo the last layer. - PRESS & HOLD: Clear Loop. - (Without loop) PRESS & HOLD for 1.5 sec to play Drum only. - When the Drum is playing, HOLD for 1.5 seconds to Stop the Drum OR just press once to Record Loop. - (While Drum is playing without Loop), you can SMART TAP TEMPO to control the speed. *Smart Tap Tempo: PRESS more than twice. If the time distance is less than 1.5 sec (40BPM), JTC interprets as Tap Tempo. *While playing a loop, you can press DRUM PLAYPAUSE BUTTON to add drum machine. JTC automatically follows the loop speed. * Smallest 24 bits loop pedal with drum machine. * 11 Drum patterns in different music styles and Metronome. * Up to 6 minutes recording, unlimited overdubs. * Smart Tap Tempo drum machine. * Hold the footswitch to use only drum function and control the speed with the footswitch. * True-bypass and analog dry-through.